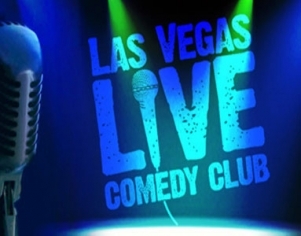 This deal gets you 50% off of the ticket price for Las Vegas Live Comedy Club! No promotion code needed to apply discount. Tickets from $28 before fees/taxes. Some of the best comics from across the country perform nightly at the “Las Vegas Live” comedy club. Featuring a rotating cast of comedians, Las Vegas Live Comedy Club opens with a host comedian who does a short routine to warm up the crowd for the main performers. Two headliners usually appear each night in the 70-minute show. Top comics who have appeared on Showtime, HBO and Comedy Central are featured nightly. Resident headliner Edwin San Juan is their newest addition and is sure to thoroughly entertain you. Located inside the V Theater at Planet Hollywood, this showroom is a great venue for the stand-up routines. A small seating area, servers who will bring you a drink, and easy access from the Miracle Mile shops all make this a fun and easy stop on a night out. Some of the acts are good. Its a really inexpensive comedy club, quite the deal. I would come here again as a local. The first comedian Edwin was quite funny, but after that the energy dropped. This is a good idea if you are looking for something inexpensive to do. It would be a nice way to end your trip.